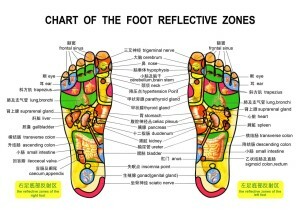 South Florida’s best Reflexology & Massage Spa. We service our southern Florida clients with expert reflexology and massage; from Pompano Beach, to Boca Raton, and from Deerfield Beach to Lighthouse Point and Hillsborough. No matter what your needs, from stress relief to total pampered relaxation, visit us in Deerfield Beach. Find out why our popularity has grown over the years with our affordable quality and clean, peaceful atmosphere, where you can free yourself from the stresses of the outside world, and rejuvenate yourself with our pampering massage and reflexology. The Foot Care Spa is the most refreshing, relaxing experience you’ll find in South Florida. Relax & Rejuvenate in Florida’s Best Foot Massage & Reflexology Spa. "Cheap, clean, great decor, and professional! I’m a teacher so I’m on my feet all day!! My first time here and I’m Amazed!! 35$ for an hour foot massage! HEAVEN..."
"Excellent!!!! The best experience in my life. I’m glad that I found this place..."
"Great place, nice people, and very relaxing. I really did not want to leave when my session was over. Definitely recommend!!.."